Many people believe trusts are only for the wealthy, but revocable living trusts are about more than just the size of your estate. Revocable living trusts serve many uses and are an effective tool for reducing lifetime expenses, preserving wealth and protecting your family and assets. A will is subject to the probate process and is, therefore, a matter of public record. 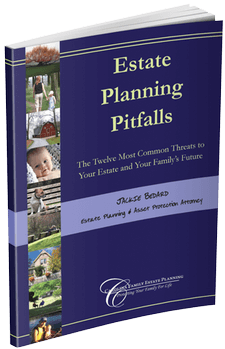 Anyone with prying eyes can learn the details of the size and recipients of your estate. By comparison, a trust is a private document that is not subject to probate, so you don’t have to worry about nosy people snooping in your family’s personal affairs. A revocable living trust can also protect your privacy in the event that you come incapacitated in the future by avoiding a guardianship proceeding (see below). Spending a little time with your attorney now can save your family time and aggravation after your death. The probate process can be expensive, time-consuming and an administrative headache. A trust, on the other hand, can be a cost-effective solution that saves your family from unnecessary aggravation in their time of grieving. If something happens to you and you don't have the right planning in place, your family’s access to funds for necessary living expenses could be limited. A properly drafted trust can ensure that the funds will be available when your family needs them. With today's high divorce rates, divorce protection has become an important component of modern estate planning. A revocable living trust can be designed such that anything you leave to your surviving spouse or children is protected in the event that they go through a divorce in the future. While we can't cite a specific study to prove it, we can tell you that anecdotally, when someone dies, it is quite common for at least one of their adult children to go through a divorce with the year or so following the person's death. The reasons vary. For some, death is a reminder that life is too short to spend it being unhappy. For others, the inheritance gave the adult child the financial security needed to be comfortable pursuing a divorce. And in other instances, the son-in-law or daughter-in-law was hoping to take a piece of the pie by divorce. Similarly, if a trust is carefully drafted it can offer your family protection from losing the trust assets to bankruptcy, creditors or in a lawsuit. So for example, say your surviving spouse or child causes a fatal car accident and is subsequently sued—their inheritance that you left to them in trust, can be set up in such a way that it would be protected from the lawsuit. No one knows your family better than you. A trust can give you more control over how your assets are distributed to family members. This can be especially important for younger or less financially responsible children. For some, receiving a large inheritance brings the temptation to spend it on luxury items or brings the risk of long-lost family and “friends” asking for handouts. Statistics show that regardless of a child’s age or the size of the inheritance, most inheritances are spent within 18 to 36 months of their receipt. A trust allows you to appoint a responsible trustee to manage the assets of the trust and ensure that assets are not frivolously wasted. A trust also gives you the power to control the timing of distributions and the circumstances under which distributions will be permitted. Especially for estates that include real estate, business interests or stock portfolios, a trust can provide continuity of the management of the asset without disruption or risk of sale in the probate process. For married couples with larger estates, revocable living trusts have the additional benefit of permitting planning to reduce or eliminate potential estate tax liability by maximizing both spouses estate tax exemptions (i.e., the amount that you can pass to your family free of estate tax). When estimating the value of your estate, it is important to remember that real estate, bank accounts, stock portfolios, life insurance policies, retirement accounts, business interests, and all personal property are included in determining the value of your estate for tax purposes. When you factor in items such as large insurance policies, the size of your estate may be larger than you realize. Revocable living trusts are easy to set up and can easily be updated from time to time. Living trusts are also legal in all states, making them highly portable if you move to another state. Due to their private nature and the law, living trusts are less likely to be challenged in court than a will. If they are challenged, the lawsuit may be less likely to succeed since many decisions are made in the trustees "discretion" (which is why it's important to choose the right trustee). For family members that are less astute at managing finances, a trust allows you to appoint a trustee to manage the assets on behalf of your family. This can also be useful for managing assets located in a state different from the state in which your family resides, such as real estate or business interests located out of state. For married couples, a revocable living trust can be designed such that upon first spouse's death, the assets are protected in the event that the surviving spouse should remarry. This not only can help protect the surviving spouse (especially if that remarriage ultimately ends in divorce) and it can protect your children and beneficiaries by requiring that when your surviving spouse dies the assets must pass to your children and beneficiaries and don't accidentally end up with the new husband or wife. Those in blended families and second or third marriages can face unique planning challenges. If you have children from a prior marriage or relationship, a revocable living trust can be designed to ensure that your current spouse will be provided for adequately through regular distributions, but that the trustee will preserve the remaining assets so that they pass to your children rather than your spouse’s family. The revocable living trust can also be designed such that certain assets or property bypasses your surviving spouse and goes directly to your children--this is a popular planning structure when there is a family vacation home or similar that you want to keep in the bloodline. By setting up a trust during your lifetime, you can also arrange for your own well-being if you become incapacitated or incapable of managing your affairs. This allows you to stay in control of who will decide when and if you are incapacitated, who will then manage your assets, and instructions from you as to how you want your assets to be managed. If you own real estate is more than one state, then upon your death, a probate proceeding would need to be initiated in each state, which can be time consuming and expensive. If the property is instead placed in a revocable living trust, out-of-state probates will not be required. Similarly, even for property located in North Carolina, if the property is located in different counties, then during the probate process, additional filings will be required in each county in which property was located (these are known as “ancillary proceedings”). Again, if the property is instead owned by your revocable living trust, this can reduce the need for such ancillary proceedings.